On May 19, 2017, tens of millions of Muslims around the world will celebrate the 92nd birthday of America’s top human rights defender Malcolm X who was assassinated at young age of 40 on February 21, 1965. American historian William Manning Marable, PhD (died 2011) had blamed FBI and CIA for the assassination of Malcolm X at the Audubon Ballroom in Harlem over his political views on American racism, hatred toward non-Whites and blind support for the Zionist entity. The organized Jewry has never stopped comparing Malcolm X with civil right movement leader Rev. Martin Luther King Jr., a Friend of Israel. The only time Malcolm X bumped into Martin Luther King was at the Capitol Hill on March 26, 1964. The meeting lasted only for a minute. Professor David Howard-Pitney (Jewish) who witness the meeting noted in his book, Martin Luther King, Jr., Malcolm X, and the Civil Rights Struggle of the 1950s and 1960s, that King learned militancy from Malcolm X. On February 21, 2017, Iran’s Spiritual Leader Ayatullah Ali Khamenei offered special prayers on the 52nd anniversary of Malcolm X martyrdom. I have posted several articles here highlighting Malcolm X’s contributions to human rights and speaking truth to the Authority based on Islamic traditions. US-born Canadian writer and musician Norman (Otis) Richmond, however, in his May 17, 2017 article, entitled, Malcolm X in the 21st Century, claims Malcolm X was a socialist. 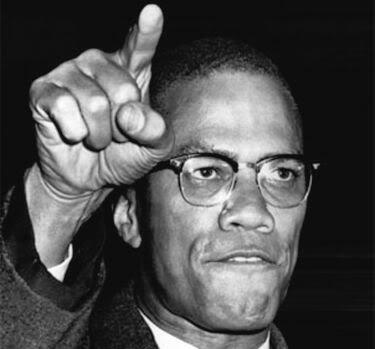 “We do know that Malcolm X was on top of the technology of the time of his departure and was deeply interested in studying languages to bring Africa, Africans, Bandung forces (The first large-scale Afro–Asian Conference— a meeting of Asian and African states, most of which were newly independent, which took place on April 18–24, 1955 in Bandung, Indonesia), and the oppressed period together to create a better world. We know that he was leaning heavy towards Socialism and was attempting to unite the many to divide the few,” Richmond said. According to the Oxford Dictionary of Islam – Islamic socialism took root in the Middle East and North Africa and was most successfully used as an ideology in Egypt, Syria, and Iraq. Reformists saw Islamic socialism as a cure for economic backwardness, human exploitation, and moral bankruptcy. Spiritual and economic improvement were not possible until the lives of people could be improved and the decent treatment and justice stipulated by the Islamic Shari’ah could be provided to them. Islamic socialism allows the public sector to exist side by side with the private sector, advocating harmonious relations between social groups, not class warfare. The basis of social solidarity in the Islamic socialist model is a combination of equality, justice, mutuality, and responsibility. Reputed Islamic revolutionary thinkers such as Sayyid Abul ‘Ala Maududi (Pakistan), Sayyid Qutb (Egypt), Dr. Ali Shariati (Iran), etc. all ridiculed Marxism, Western Socialism and Capitalism. Malcolm X (Al-Haj Malik al-Shabbaz RA) is a hugely maligned and misunderstood figure – which itself begs scrutiny – cui bono – and another useful opportunity presents itself to properly examine his life and legacy.